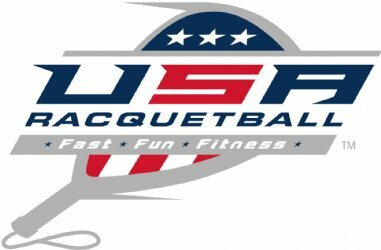 All participants must be a current USA Racquetball member before they will be placed in the draw. 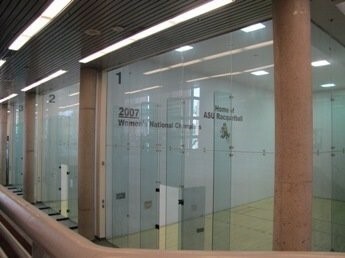 USA Racquetball reserves the right to close entries of any division as of regular deadline. Refunds (less a $10.00 service fee) are available prior to March 2nd, 4 pm MT. 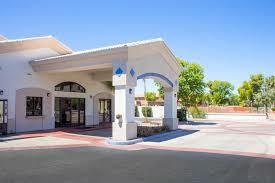 Additional fees may include $25 for returned checks and $10.00 for declined debit/credit cards. Refunds processed 7 days after the event is completed. *immediately after the last match on show court! The Valley Metro Rail runs from PHX to ASU. 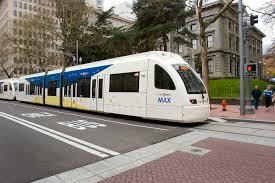 Riding public transit is a convenient and inexpensive way to get around. 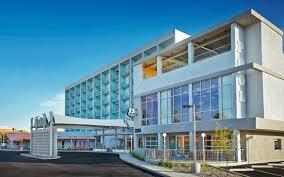 It runs near the university, downtown, and the International airport for about $2.00. Champions in Men’s & Women’s #1 gold singles division will qualify for a one-year appointment to the U.S. National Adult Team. Players seeking a position in the US Team must be a US Citizen and play in the #1 singles division. If the winner is ineligible or declines the appointment, then the runner up may elect to fill the appointment. If the runner up is not able to accept the appointment, then position goes vacant. 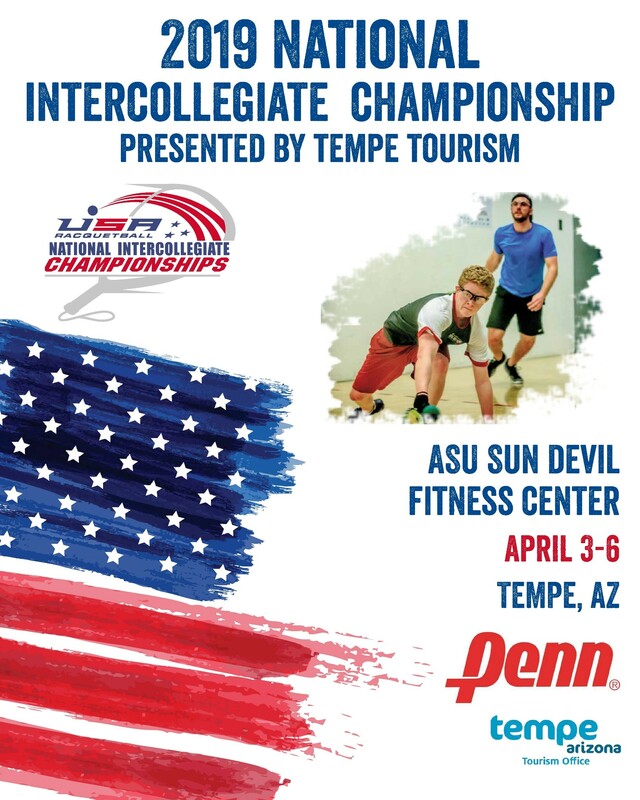 The semi-finalists (4) finishers in each of the men's and women's gold singles divisions #1 - #6 and finalists of gold doubles divisions #1 - #3 will be designated as 2019 Intercollegiate Racquetball All-Americans. Awards will be given to schools competing in the team competition for 1st - 3rd in the Men, Wo, en and Overall. USA Racquetball Official Rules will govern competition, including the mandatory use of protective eyewear. Hospitality lunches and dinners will be offered throughout the event. A tournament gift bag will be given to all participants at registration. 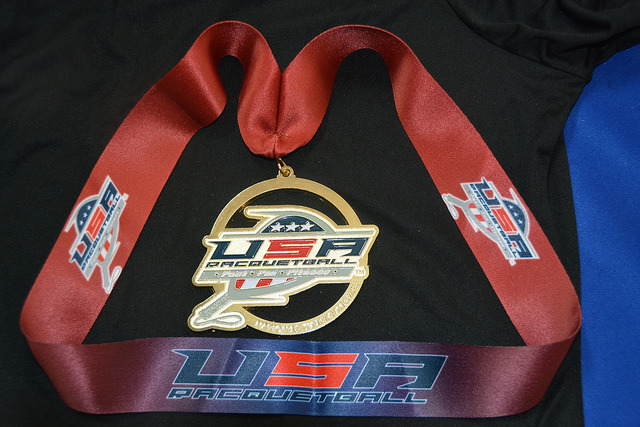 All Divisions will receive 1st-4th place National Championship medals. 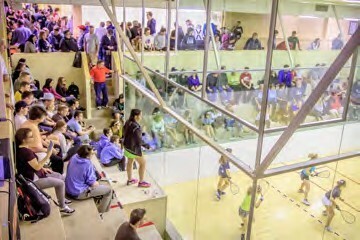 Collegiate racquetball is great fun and is a perfect chance to get away with your friends. Enjoy the camaraderie and lifelong friendships. We have arranged for a social night, Saturday, April 6th @ 9:00 PM. We will have hors-d'oeuvres to enjoy as you mingle and get to know fellow players, coaches, and fans. 1. Two men comprise a team for Men’s scoring. 2. Two women comprise a team for Women’s scoring. 3. One man and one woman (2 players) comprise a Team for combined scoring. An undergraduate student enrolled in an accredited U.S. college or university, herein referred to as “school”, shall be eligible to compete in the U.S. National Intercollegiate Championships if they meet the following requirements: Full-time student as defined by the “school” at which player is enrolled *Enrolled in a regularly matriculated degree program at the “school” for which academic and competition eligibility is to apply, including two-year and four-year programs (certificate programs not eligible) *Student must be in good academic standing at the “school” in which the player is enrolled. 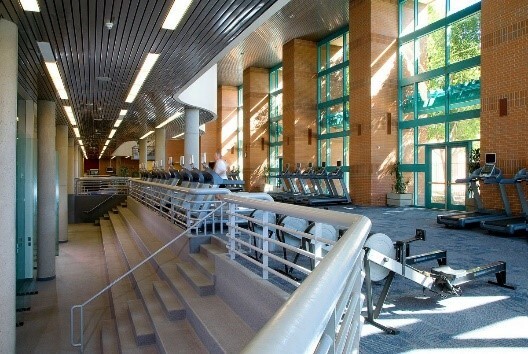 Students taking the final courses that are necessary to obtain their degree in the semester in which the competition is scheduled are not required to be enrolled full-time. Graduate students engaged in coursework, research, teaching or thesis production which will lead toward the awarding of a degree are eligible. They must be enrolled full-time and have not used their four years of college eligibility. Athletes must have college eligibility remaining to participate in the National Intercollegiate Championship. Limited to 4 years of participation. Verification must be sent to the tournament director no later than March 22, 2019. Teams shall consist of 4 to 30 players, men and women, from the same university/college. Teams cannot combine players from different campuses. Like singles teams, doubles teams must also be from the same school. •There are six (6) singles divisions, three (3) doubles divisions for men and women. No two players from the same team will play in the same division. Divisions are numbered 1-6 (singles) and 1-3 (doubles). Singles players may enter doubles as a second event. If there are less than six players, men or women, on a team, divisions will be filled from the top first. *For schools with additional singles players, they may play skills divisions. Division I and Division II team titles will be calculated. To be eligible for Division II rankings, each school must already compete in Division II or Division III in basketball or football. Schools seeking national team titles in either Division I or Division II may field one men's team and one women's team, comprised of singles players #1- #6; doubles teams #1- #3. If someone is playing in Team Title Division Singles, they may not play in Skill Division Singles but may play in Skill Division Doubles. Part-Time students with eligibility are eligible to play in Skill Divisions. Olympic Format with 4 flights in each age group, Gold, Blue, Red & White, thus ensuring that a player typically has a minimum of 3 matches per division and eventually plays against similarly skilled players during the event. Match losers are required to referee or present a similarly suitable replacement. Players who do not referee will be penalized 500 points (from team total). 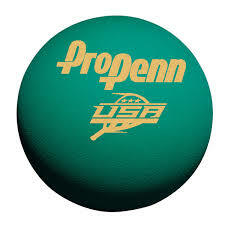 USA Racquetball and the ProPenn Green ball will be used in all matches. All Players are required to take and pass the online A-8 College Referee Test prior to the event. The test is FREE!! To do so, log into your USA Racquetball profile> Courses and Testing > A-8 College Referee Test. All parents and coaches must remain in far corners of the viewing area on the court. No speaking directly to the referee and all issues or complaints must be brought to the tournament desk immediately. Teams must have submitted their final player positions. Click the link below for a printable entry form.